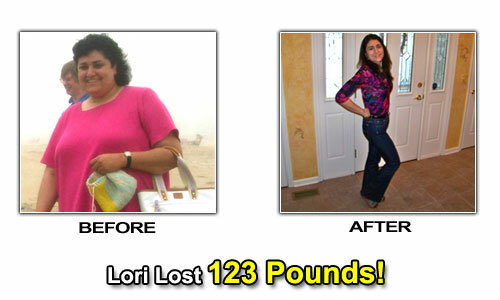 Pounds or Inches Lost: I lost 123 pounds! I have always been unhappy with my weight. 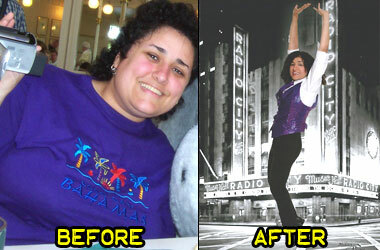 I was overweight throughout my life and became obese in my adult years. I was so unhappy with taunts from children and adults alike. 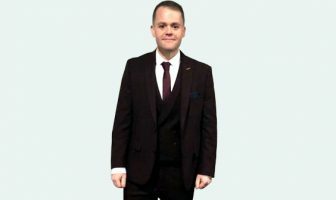 I was miserable when I reached a point where I could no longer find my size in an average department store, and had to special order clothes. It was also sad that I could no longer keep up with my then three-year old son. A major car accident left me with a totaled car and two knee surgeries. More weight was gained. I had tremendous knee pain. I happened to look at family photos at the beach. I was larger than I thought I was. Collectively, with the knee pain, a hurt spirit, lack of physical abilities, and a wardrobe of tent/clown clothes, I decided to make a change. Lori Spoke at a TEDx Talks! Click To Watch The Video! 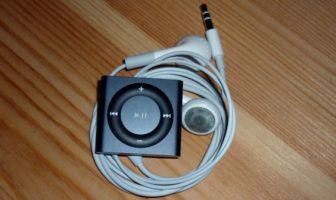 I made a list of things that made me overeat, obstacles that got in my way, and came up with tips and tricks to overcome such things. 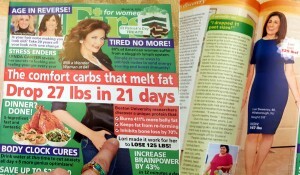 I closely followed these tips and tricks and the weight started coming off easily. The most challenging thing was to stop eating anything and everything when stressed. I used to use food as medicine for my woes and I had to restrain myself from grabbing food when I was stressed out. I had to devise another outlet. 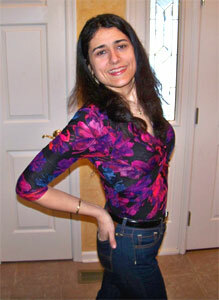 It was discouraging at first when people didn’t notice my weight loss after the first twenty pounds. 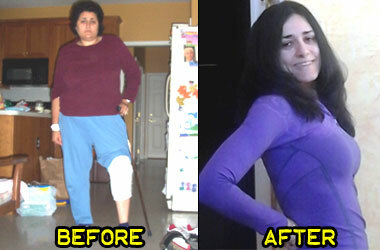 I was so obese, that twenty pounds less did not show on me. I, as well as others, noticed about three months after beginning my weight loss journey. 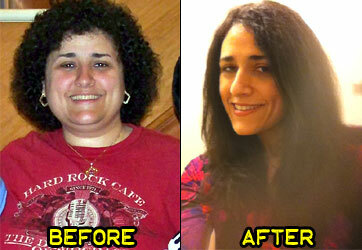 It took me three and a half years to lose over 120 pounds. I have maintained this weight for over three years. My new life keeps me motivated to continue. I am still thrilled to find my size in a store and enjoy wearing items I didn’t feel comfortable wearing in the past such as belts, tank tops, and dresses. Being able to move without being tired is also thrilling, and I do not want to lose that feeling. I am also surprisingly motivated by negative people who didn’t believe in me and didn’t believe I could keep the weight off. My success proves them wrong every single day. Not only do I have clothes that I love wearing, I have confidence. 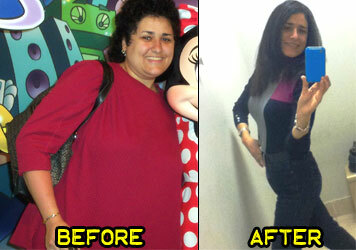 I am helping others lose weight and hope to be a motivational speaker more regularly. I am able to be more active and do more things. Collectively, such benefits give me a positive spirit. If I can do it, you can do it! I was not born with a fast metabolism and do not come from a family of thin people. So if this person, who was overweight most of her life can lose the weight and maintain, so can you! Also, for success, drop the excuses. 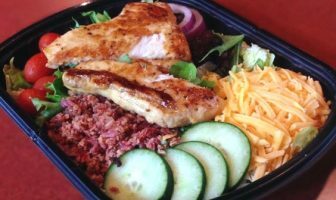 You have to get into the right mindset or else healthy eating will be short-lived. Excuses will only lead to failure. I have lots of tips and tricks that I put in a 250 page manuscript that I hope to get published someday so hopefully readers will be able to view my tips and tricks for eating right, exercising, overcoming obstacles that lead us to overeating, and getting the right mindset. Eat with a shrimp fork and teaspoon to avoid shoveling food and eating quickly. Cut the amount of sugar and butter in recipes by half. Believe me, you won’t miss it! Exercise, even if it’s for a few minutes, at least five times per week. Gradually increase the time for a feasible challenge. Park the car far away when you’re at a shopping center. You will get fewer car dings, fewer shopping carts bashing into your car, and you will also get more exercise! For a dessert while eating out, get a kids cup of ice cream or split a dessert. I have 1 cup of hot oat bran cereal or oatmeal. I add 1/2 cup of milk and 1/2 cup of fruit such as raspberries, blackberries, or cut up cherries. Lunch varies, but I will have a hummus sandwich with cucumber on wheat bread. Another option is a pumpkin quesadilla with feta cheese, cumin, and pecans. I will have a 4 ounce burger of lean ground beef, but instead of a fattening roll, I will wrap it in a flour tortilla after it is cooked and put it in the pan to heat the tortilla. I bake spinach so it comes out like a crisp or chip. I try to experiment with different spices and dishes to keep things interesting. It is the old scientist in me. I keep experimenting! I like a tablespoon of cashews or a honey crisp apple with honey. 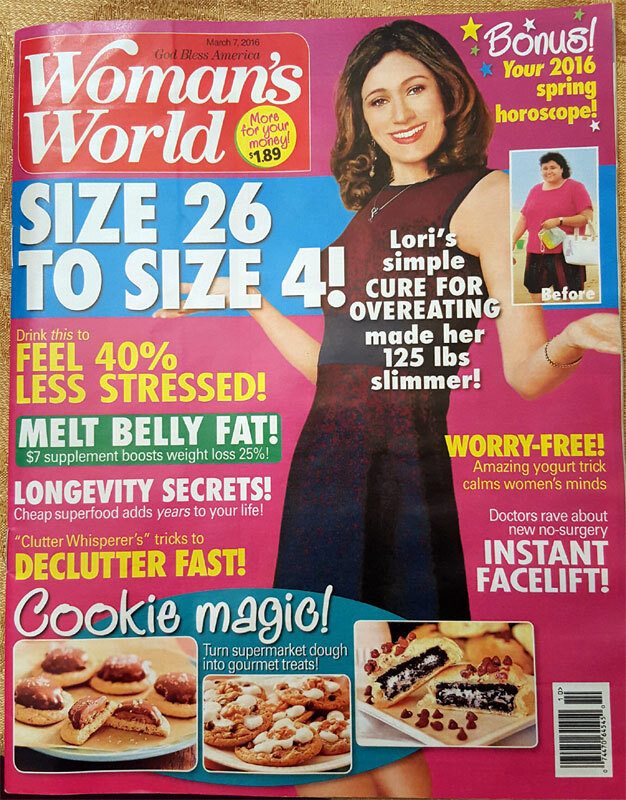 Lori was featured on the cover of Woman’s World! 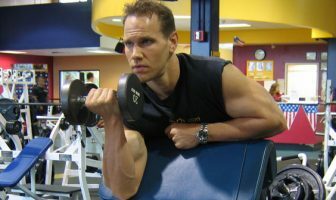 I do 45 minutes of weight training on various machines. I utilize dumbbells and barbells as well. I try to change up the training to keep things interesting. I make sure to do 80 minutes of cardio. I use the elliptical or treadmill machines. I try to vary the courses and exercises on the machine to get some variety. 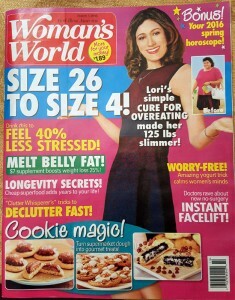 Lori was also featured in First for Women Magazine! Lori’s New Weight Loss Book! After losing 125 pounds and enjoying the fruits of her labor, Lori Sweeney decided to share her tips and tricks so others do not suffer as she did at 272 pounds. She wrote a book, Goodbye Fatness, Hello Gorgeous! The book tells of her struggles in an overweight body from childhood to adulthood and then gives tips and tricks on how to overcome healthy eating obstacles (holidays, restaurants, stress eating, food pushing friends and relatives, workplace meals, limited time, negativity, and more). 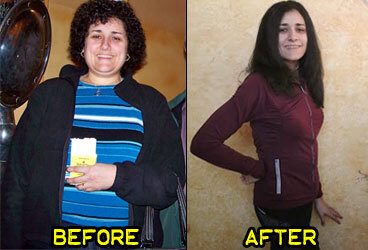 In the Acknowledgment section, she thanks ShapeFit.com for sharing her story so she could inspire others. Lori wrote this book because she saw books that were mundane and did not give useable advice. 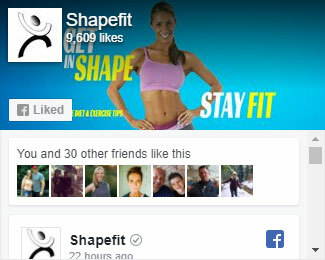 Some gave advice that were mainly for the wealthy such as hiring a personal trainer and getting stomach surgery. Some recommend omitting ingredients “forever” which impinge on enjoying common favorite foods. Lori’s book gives doable advice for those on any budget and recommends having favorite foods to avoid the crumbling of a healthy eating foundation. Goodbye Fatness, Hello Gorgeous! is available on amazon.com or barnesandnoble.com. Lori also started her own website. Lori has some book signings and motivational speaking engagements starting in the new year. She looks to do more of these so she can inspire more people!